Pokémon Black & White Versions seemed to pop out of nowhere last year, and their U.S. release is approaching just as fast. The new DS Pokémon duo will arrive March 6, presumably just in time for the 3DS’s release sometime later in the month. With Pokémon, the 3DS, Ocarina of Time, and possibly Skyward Sword all arriving in the same month, you can be sure Nintendo’s going to finish off its current fiscal year with a bang. The official Black & White website has also been updated with new character information, including a handful of new English names and descriptions. Jump inside for a link and the full press release. REDMOND, Wash., Dec. 27, 2010 – Nintendo of America today announced that the Pokémon™ Black Version and Pokémon White Version video games will launch in North America on March 6, 2011. The games, playable exclusively on the Nintendo DS™ family of systems, are a completely new adventure that Pokémon fans old and new can embark on. Pokémon Black Version and Pokémon White Version introduce more than 150 new Pokémon and a new region to explore. Pokémon Black Version and Pokémon White Version let players start with one of three new Starter Pokémon – the Grass-type Snivy™, the Fire-type Tepig™ or the Water-type Oshawott™. Until the main story of the game is complete, every Pokémon that players encounter will have never been seen before in previous Pokémon games. 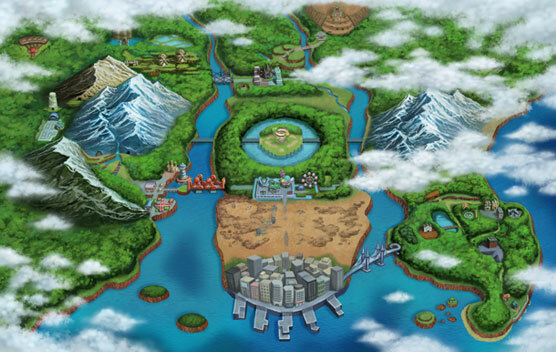 The games also feature original boy and girl trainers who set out on an adventure in the new Unova region.